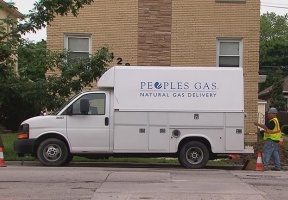 Peoples Gas and North Shore Gas will pass along savings from the federal tax law changes to Illinois customers beginning in May. Approximately $26 million in savings will be delivered to Peoples Gas customers and nearly $3 million to North Shore Gas customers in 2018. A typical Peoples Gas residential heating customer would save an average of $2 per month, while a typical North Shore Gas residential heating customer would save an average of $1.33 per month. “Peoples Gas and North Shore Gas are pleased for the opportunity to promptly provide savings to customers from the recently enacted federal tax legislation,” said Charles Matthews, president and chief executive officer. For more information, visit peoplesgasdelivery.com or northshoregasdelivery.com.